Put them together for cultural heritage, and you have the beliefs, customs, traditions of a particular group, or society. However, in the context that I am going to talk about I am not specifying any one particular group. Instead I am advocating that “we,” as the human race, all share in a cultural heritage. No one race or nation is above another and we all lose something when items from different cultures are destroyed. There are many things that break my heart, which is one of the reasons why I started this blog. I wanted to share issues in a non-judgmental way by sharing what others might be doing to help. One issue, that is breaking my heart right now, especially given my background as a history major, is the destruction of our cultural sites by extremists. I specifically address this as “ours” because we are all part of the human race and we have a stake in cultural identities across the globe. It is bad enough if a natural disaster hits and destroys part of our cultural heritage, but blatant destruction is frankly soul crushing. I do realize that over the history of the human race, we have destroyed cultural items from the buildings to the art of our perceived enemies. However, should we not know better by now? Some things do not seem to change, no matter what age we live in. However, I, for one, think it is important to bring awareness and stand for preservation. There are some powerful organizations who believe this too. UNESCO has started a campaign #Unite4Heritage. #Unite4Heritage uses the power of social networks to create a global movement where each one of us can raise our voice and take action for safeguarding heritage under threat, in Iraq and elsewhere. 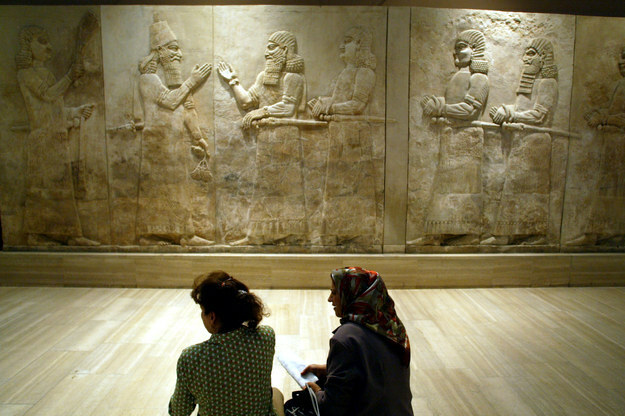 #Unite4Heritage shows that diversity is a source of strength for all societies. To build peace tomorrow, we need to protect our common heritage today. Take a photo of your favourite heritage site or artefact and tell why it is important to you. 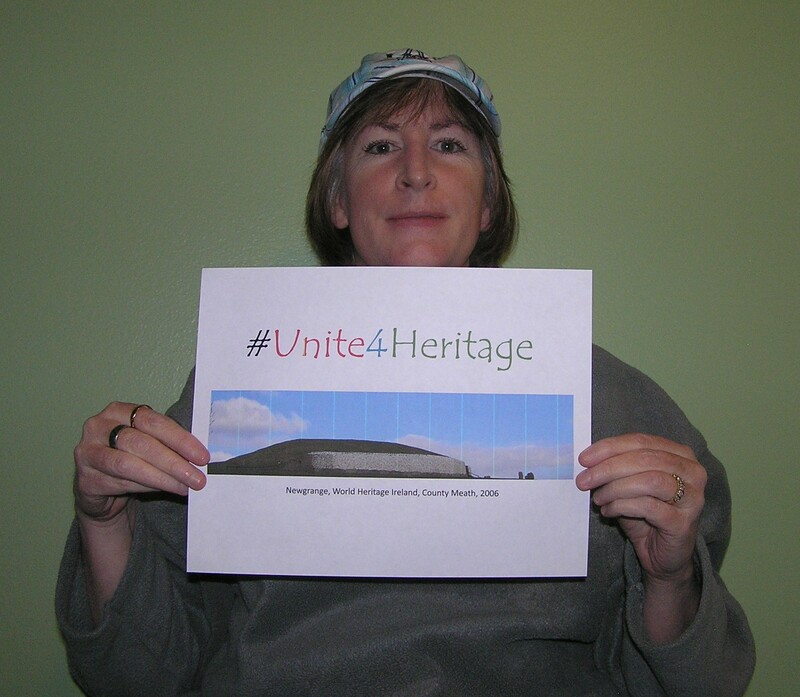 Post it to Facebook, Twitter or Instagram using the #Unite4Heritage hashtag. Take a selfie while you are holding a sign with #Unite4Heritage on it – and post that as well, it will be added to the campaign website. 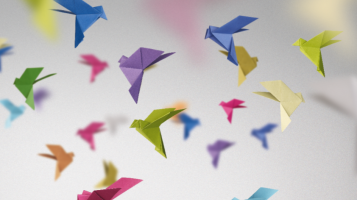 Spread the word and help share the values of tolerance, diversity and respect. A picture of myself holding a picture from my trip to Newgrange, County Meath Ireland.